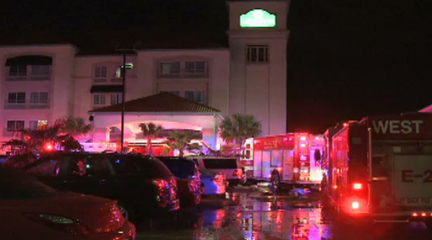 A man was in the hospital after falling down a hotel elevator shaft in Katy early Saturday. Police said the man fell down the shaft of a La Quinta Inn located in the 22000 block of Interstate 10 around 5 a.m.
EMT responded to the scene and found the man conscious and breathing, but was bleeding. He was transported to the hospital in unknown condition, though police did not believe the injuries were life-threatening.